Born on April 14, 1973, in New York City, Brody was raised in Queens. The son of a schoolteacher and a celebrated photojournalist, he was drawn to acting from an early age. Brody’s first taste of show business came when he was 12-years-old and performed as a magician at children’s parties; with his mother’s encouragement, he subsequently enrolled in acting classes, attending both the American Academy of Dramatic Arts and the High School for the Performing Arts. He found his earliest work in off-Broadway productions, and made his television debut in 1998 with a PBS movie and a turn as Mary Tyler Moore’s son in the comedienne’s ill-fated sitcom Annie McGuire. Following his professional debut, the actor returned to school and attended a year of college before being cast in Steven Soderbergh’s 1993 Depression-era drama King of the Hill. The film, which cast Brody as its protagonist’s delinquent mentor, met with wide critical acclaim and presented him with new opportunities. He won roles in several films, including 1994′s Angels in the Outfield and 1997′s The Last Time I Committed Suicide, a paean to the beat generation that co-starred Keanu Reeves, Gretchen Mol, and Claire Forlani. Brody thought that fate smiled kindly upon him when Terrence Malick cast him as Corporal Fife, a lead role in The Thin Red Line (1998). But destiny scowled at him instead, when most of his scenes were spliced into a marginal, nearly speechless character. This was to be Brody’s hard-earned lesson in career disenchantment. But Brody would not let himself join the ranks of hundreds of other Hollywood also-rans. With dedication and talent to spare, his pivotal role was that of bisexual punk rocker Richie in Spike Lee’s Summer of Sam (1999). Though wildly acclaimed, the industry’s big heads still failed to grab this young talent. That is, until cinematic legend Roman Polanski saw Brody and decided he was to star as the protagonist of The Pianist, a movie about the Warsaw ghetto during the Nazi occupation of Poland. Polanski had Brody live the loneliness and desperation of pianist Wladyslaw Szpilman, whose life serves as the focus of the film. Brody was left isolated and starving in Poland, having nothing but emptiness and hunger to help him concentrate. He lost 30 pounds and learned to play classical piano in seven weeks. And thanks to his talent and chilling portrayal, he won the Oscar for Best Actor, challenging four former award winners like Jack Nicholson and Michael Caine. A Hollywood first. Do you want to hire Adrien Brody? Directly request a quote. In 48 hours we can send you the availability of Adrien Brody If you would like to book Adrien Brody, Entertainment Booking Agency is the right place. 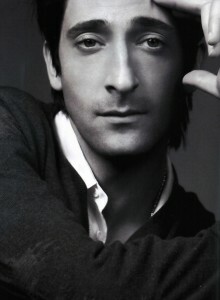 We will offer you the best price and contact the management or we directly contact Adrien Brody. For corporate appearances or speaking engagements you can contact our agents and the will help you true the process. Tags: hire Adrien Brody, Adrien Brody booking, book Adrien Brody, Adrien Brody appearances, find more information on booking Adrien Brody for appearances, Adrien Brody speaking engagements, Adrien Brody endorsements/spokesperson, Adrien Brody appearance fees, Adrien Brody booking agency contact info, biography of Adrien Brody, Contact an artist booking talent agent find a speakers bureau that can book Adrien Brody, speaker booking agency for Adrien Brody, Adrien Brody booking agency, Adrien Brody booking for corporate event. EBA is one of the biggest entertainment booking agencies in the World. We book hundreds of celebrities, artist, athletes and speakers in a year. Important to know is that we are not claiming to be the management of Adrien Brody. We are not the official agent for Adrien Brody. Companies from around the globe book these artists and speakers true our company be course we have one of the biggest networks and we always have direct contact with the artist or the management. We help you to find the right celebrities for your corporate of private events. Please contact one of our agents to get free advice and we will help to get the world-famous artist on your party.